No matter what the size of your business is, Lead Management remains an integral part in forming your revenues. Without proper lead management, your potential clients get lost amidst the huge influx of data, get dropped because of information mishandling, or ultimately withdraw from your service to find another company because of poor customer relationship. 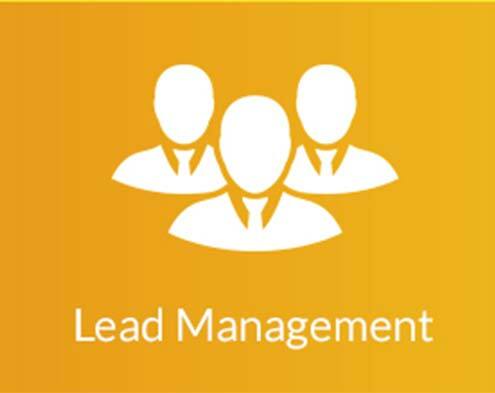 Lead Management is a series of smaller tasks linked to the proper handling of client leads. If broken down into segments, it begins with lead generation followed by lead segmentation, lead distribution, and finally lead conversion to actual sales. It is by principle, a unique and effective approach to highly increasing company revenues through an aggressive lead marketing campaign. Masterdigm CRM is enriched with distinctive features that enhance its lead management capabilities. Users can save every new lead in the application, including specific lead details and other personal information. This data can be used to track and follow up on lead activities, set appointments, share leads among users, send email updates and communications to leads, and segregate leads into different classifications for more targeted campaigns. With Masterdigm CRM, these lead management features are made available in an easy and highly efficient user interface to become one powerful internet marketing tool. Both manager and agent have unlimited access to all lead and contact details in a click of a mouse! Masterdigm CRM also gives a new meaning to lead management – the seamless integration of all marketing tools for a systematic work experience and effective client management. With lead tracking, all inquiries made by potential clients are kept in check so that the qualified leads are rapidly channeled on to the appropriate agents for immediate action. 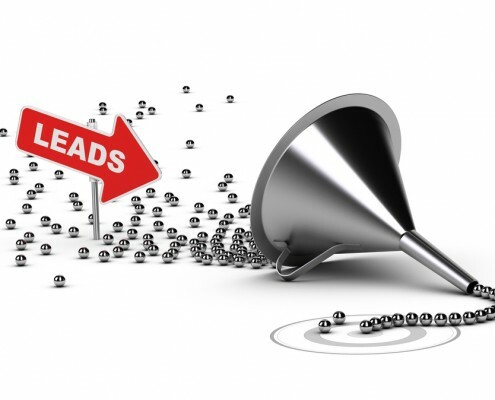 All leads are given utmost importance, leaving no room for expired or lost leads. Lead capture allows you to seamlessly transfer prospects from your website to the Masterdigm CRM system. Typically, a lead is captured when a website visitor fills out a form directly through your website. Masterdigm CRM also lets you create such forms, and allows you to make personal responses to these queries straight from your CRM panel. The Import Wizard acts as your lead recruiter by importing leads from other sources such as from business events that you may glean prospects from, otherwise eliminating the task of manual data entry. Meetings, seminars, and trade shows are some of the possible venues for lead generation. Lead merge lets you integrate one lead having different levels of interaction into one single account, preventing the occurrence of duplicate leads. This feature allows agents and users to look into previous communications, contacts and account history before determining their next move. In lead routing, the manager keeps full control of the leads by setting up lead queues, and assigning leads to appropriate agents for an automatic distribution. Lead and agent compatibility is a crucial factor in marketing and sales so it is imperative to pass a prospect on to the perfect agent or team for optimum results. With lead control, agents and users are allowed access only to the leads and territories which are assigned to them specifically. Sharing of lead information with other users is also limited according to their designated areas of concern. The purpose of lead history to be able to track leads by looking into communication details beginning from lead creation to lead conversion. This is especially useful for administrative evaluation purposes such as determining the status of leads, measuring the effectiveness of agent actions and pinpointing weaknesses to improve client service. Lead qualification propels an organization to establish particular standards which guide in lead segmentation and qualification. These measures will make certain that all agents have the same consistent process in lead qualification. After a lead is qualified, it is then converted into a sales opportunity. Masterdigm CRM lets you do this quickly and easily through fully integrated systems with notification capabilities that alert an agent each time a sales prospect is assigned to him or her. The beauty of Masterdigm CRM’s email campaign is its innate capacity to create personalized email messages based on existing templates, and sending out these emails to multiple recipients. Customer response as well as agent’s reply to queries can be automatically stored for tracking purposes. Lead prospecting involves communicating with potential clients and responding to lead inquiries in a timely manner. Responding faster and accurately to customer queries is one of the sure-fire ways to enhance your marketing campaigns. Learn more about Masterdigm Real Estate CRM! Sign up below for a demo. It’ll be our pleasure to show your our products and services. Start now.